Review "From Horticulture to Agriculture". Origins of Agriculture is a course posted on the Oregon State University extended campus web site. 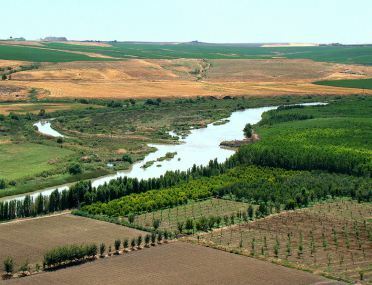 "About 10,000 years ago, in the delta of the Tigris and Euphrates rivers in Mesopotamia (today Iraq), people began to grow crops and to adopt a more sedentary lifestyle. The change from subsistence patterns (hunting and gathering) to agriculture was the first ‘cultural revolution’ that impacted human behavior and societies..." Visit the site to read more. Assyrian Agricultural Technology, Gates of Nineveah web site, February 2012, Christopher Jones (Ph.D. student in Near Eastern history at Columbia University, NY.) This site provides an in-depth description of agricultural practices in Mesopotamia, with many excellent images. Visit the site to learn more.